While every physician needs to familiarize themselves with the new ICD-10 codes, it's especially important for orthopedic surgeons. Over 60% of the ICD-10 codes are specific to musculoskeletal, allowing for more precision, but requiring more detailed documentation. Here at Heath Information Services, we want you to know that before you can understand how to prepare for ICD-10, you need to understand what the coding update actually entails. The biggest difference between ICD-9 and ICD-10 is the level of detail. Not only are ICD-10 codes longer, in order to better specify a diagnosis, there are far more of them. 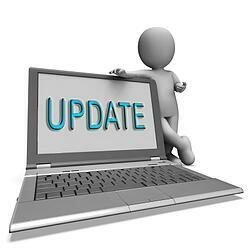 ICD-9 contained about 14,000 codes while ICD-10 has 70,000 and more room to expand. One thing that orthopedists will notice first is the addition of laterality. ICD-10 codes specify whether the symptoms or manifestations are on the left or right side or if they are bilateral. This not only allows coding to be more precise, but should reduce medical error. It is also important to note that while ICD-9 grouped injuries by type, ICD-10 groups them by anatomical site. There are two parts to ICD-10: ICD-10-CM and ICD-10-PCS. Physicians only need to concern themselves with ICD-10-CM, the system for diagnosis coding. While ICD-10-PCS will be used for inpatient procedure coding, physicians should continue to use CPT and HCPCS codes for outpatient coding. The first thing physicians should do is to identify where they are using ICD-9 codes and which codes they are using. This will allow them to not only see what ICD-10 codes their practice is most likely to use, but also to see where potential changes may occur. When looking at how to prepare for ICD-10, physicians may see that they need to contact their practice management software provider, billing services, clearinghouses, and payers as well as preparing their staff. It is imperative that physicians, especially orthopedic surgeons who will see the most changes, prepare for ICD-10 as soon as possible. The ICD-10 compliance deadline is in less than a year. Implementation plans and upgrading systems may take longer than expected and comprehensive staff training is imperative. There will be no grace period, but ongoing practice can start on May 1st, 2015. A major part of how to prepare for ICD-10 is to assess how long it will take for a practice to transition. Some practices will see less change, while others, like orthopedists, will require more preparation. Keep the scope of change in mind when estimating the amount of time it will take to retrain staff and budget appropriately. Remember this when looking at what ICD-9 codes your practice currently uses. See what ICD-10 codes will replace them, how much more complex they are, and how many more will be used. There are a variety of training materials available to help your staff understand and adapt to ICD-10 in time for the compliance deadline. Here at Health Information Services, we think you should start training your staff at least six months before the switch over. When deciding how to prepare for ICD-10, it's important to anticipate and prepare for the costs of implementation. Create a plan, not only to keep on track, but also to assess the financial impact of upgrades, training, materials, reprinting, and other possible expenses. Here at Health Information Services, we want to make sure you know how to prepare for ICD-10. Every healthcare practice will see changes, but orthopedic practices and radiology departments need to take special care in preparing. Assess your needs today, so you'll be ready well before the deadline.